We know you're busy so leave the online marketing, lead generation, and verification to us. We deliver only high-scoring leads to you in your exclusive territories. We publish online content and collect leads in your market, contact them by phone and verify their information. 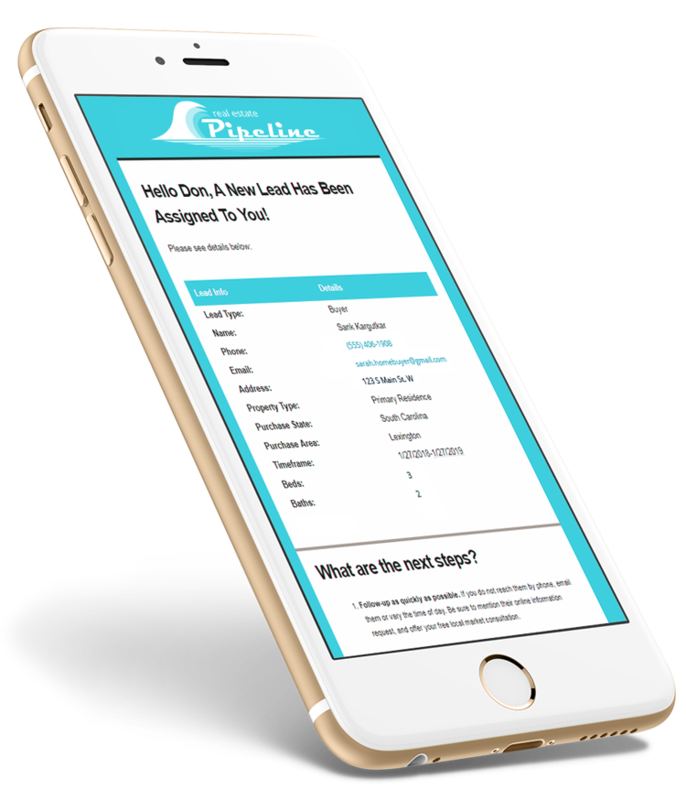 Human Verified Leads - every single one of Real Estate Pipeline's lead requests is called and verified using our proven first-touch process. Exclusive Territories - every lead package with Real Estate Pipeline offers you exclusive access to leads. Stop worrying about upset leads contacted by others. You're In Control - if a lead you receive for your package does not meet your standards, notify us within 7 days of receipt and we'll replace it free. A member of our team will contact you to answer questions and help you get started.